This ebook is for the advanced student of cards. 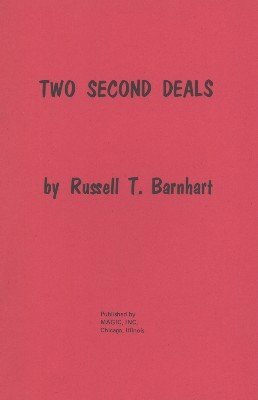 Russel T. Barnhart teaches two second deals. One he calls the 'Thumb Second' and the other the 'Little Finger Second'. Both are described with words and photos. 1st edition 1974, 16 pages; 1st digital edition 2012, 12 pages.